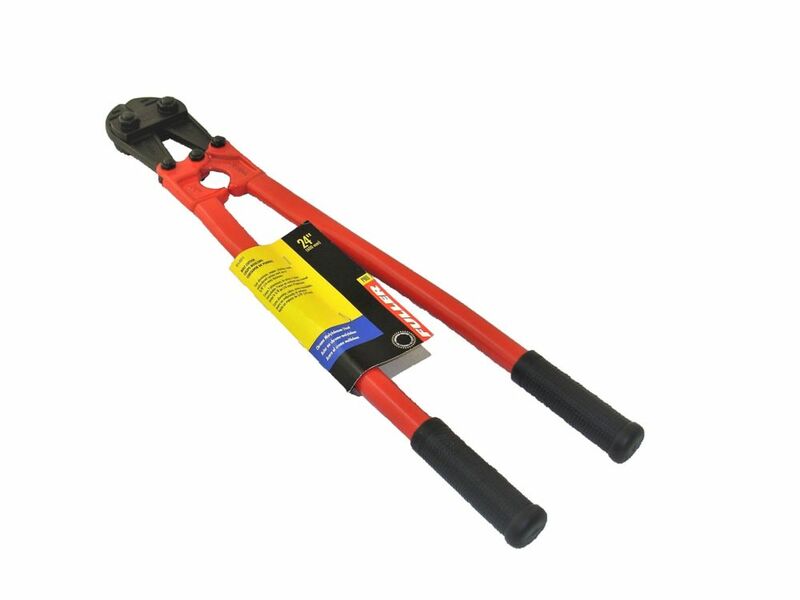 24-inch Bolt Cutter with Non-Slip Rubber Grips Designed to easily cut through soft to medium-hard metals up to 3/8-inch thick, these quality 24-inch bolt cutters will prove invaluable at home or on the job site. Adjustable screws allow for quick and easy alignment of the centre-cutting jaws and the compound cutting action provides extra cutting power, while helping to reduce muscle strain. Non-slip rubber grips on tubular handles ensures a firm, comfortable grip.